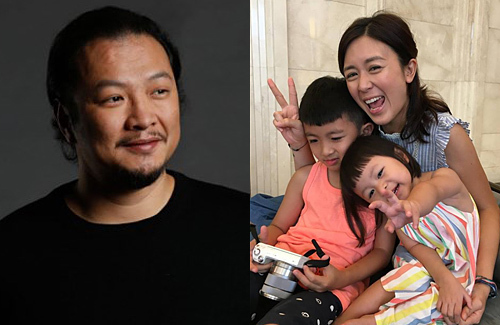 Despite their 13-year age gap, Leila Tong (唐寧) and Desmond Tang (鄧偉傑) got married in 2010 and were together for seven years. In that span of time, they also welcomed two children – a daughter and a son. In 2017, however, the couple announced their divorce. Despite their split, they continue to maintain a cordial and friendly relationship in hopes of providing a positive environment for their children to grow up happily in. At an event promoting jewelry for Mother’s Day recently, the 37-year-old single mom shared that she often does arts and crafts with her children. She will also be helping her kids design cards for their grandmother for Mother’s Day this year. In the growing world of technology, Leila hopes that these arts and crafts activities will reduce the amount of time her children spend in front of screens. Having been divorced for nearly two years now, will Leila consider dating again? Leila shook her head, expressing that her focus is now on raising her children and work.